To develop and provide professionally trained managers, Bahauddin Zakariya University, Multan established the Department of Business Administration in December, 1977 and classes for the first batch started on March 15, 1978. IMS is now one of the largest business school of the country with well over 1000 students and a permanent faculty of 30 teachers with a large complex of buildings providing all possible facilities at one place. These, together with the congenial environment offered by a very attractive University Campus, set in unspoiled countryside, will make most memorable stay at the Campus. The goal of the Institute is to prepare students for a successful management career. Since its inception, the Institute has endeavored to give its students an education that enables them to face any challenge in their professional life. Up till now, more than 1700 students have graduated from the Institute who occupy middle and senior management positions in the hierarchy of national and multinational organizations. To be a leading Business School in the region, committed to excellence in Management Studies & Business Research that could professionally contribute toward Industrial & Economic Development. • Capability and competency building for professional development. • Critical and analytical thinking for managerial problem solving. • Creativity and team work. • Managerial and leadership abilities. • to develop an awareness of the wider impacts of those choices and decisions in the real life situation. The permanent faculty of the Institute consists of 30 teachers out of which 9 teachers have Ph.D. degrees in Business Administration from well reputed local and foreign universities. The teachers are highly committed and motivated. 09 teachers from the faculty of the Institute are currently pursuing higher education from local and foreign universities. The Institute also has a large adjunct faculty consisting of senior teachers of other departments as well as experienced executives from business and industry. presentations. A video library containing seminars delivered by experts on various topics is available in the Business Information Center. Executive Center has been established in the Institute which provides state of the art facilities to the students. It contains a spacious lecture theatre, a student lounge, conference rooms and a “Business Information Center”. The Business Information Centre contains more than 9000 books on various subjects of Business Administration. A number of national and international journals are subscribed. A large number of journals pertaining to various titles of Business Administration are available online for free access of the students. The Institute has four modern computer labs equipped with latest breed of computers. Each lab also has multimedia facility. All the computers in the institute are connected through a networking system. To ensure their maximum exposure to the use of computing techniques in business all the students have ready and easy access to computers. Free internet facility is also provided to the students. The Institute has two buses which ply between the campus and the city. These buses provide pick and drop facility to the students throughout the day. Management” which publishes research papers on issues of business, management & industry. A magazine Management Link, of the IMS is published regularly containing quality work produced by the students in the form of articles, essays, short stories, poems, features etc. both in English as well as Urdu. Letter is circulated widely among industry and business institutions. Executive Club and Executive Forum are student bodies of the Institute representing morning and evening students respectively. These student bodies conduct various functions and seminars in the Institute and provide opportunities to their community to participate in academic and co- curricular activities and contribute through their creative ideas. The Bachelor of Business Administration (BBA) program is of 4 years duration, spread over 8 regular semesters, and consisting of 124-136 credit hours after completing 12 years of education. Semester wise breakup for BBA program is attached. Marks obtained in the intermediate or equivalent examinations including 20 marks for Hifz-e-Quran. Master in Business Administration (MBA) program is of 1.5 years duration spread over 3 regular semesters and consisting of 30-36 credit hours after completing 4-Years BBA Degree with minimum 124 credit hours as per HEC guidelines. Semester-Wise breakup of MBA program is attached. MBA (3.5 years) program consists of 7 semesters. In first four semesters five courses are offered in each semester and course structure is similar as designed for BBS. In remaining 3 semesters four courses are offered in each semester and course structure is similar as designed for MBA 1.5 year. Total credit hours (32 courses x 3 credit hours = 96 credit hours). + 40% of Marks obtained in B.A / B.Sc /B.Com or Equivalent examinations including 20 marks for Hifz-e-Quran. The MBA Executive Program is designed for candidates having 14-years of education with 4-years job experience at Managerial cadre who want to adopt business as career and like to enhance their professional business skills. The program provides opportunities to learn special business techniques required to excel in the challenging and rapidly changing world. The program creates breadth of knowledge across every discipline of business and management. The program also focuses on strong leadership and management skills with sound technical knowledge-base required in today�s dynamic business environment. 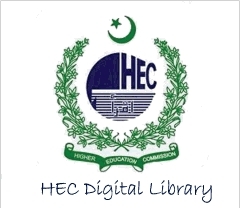 The program structure is approved as per HEC requirements. MS (Business Administration) is 30-36 credit hours program after 16 years of relevant business education. The objective of this program is to understand the theoretical underpinnings of the business activity and to provide the solution of various business problems. This is a research oriented degree program. It offers different areas of specialization such as marketing, management, and finance yet it is deemed necessary that there is a certain bare minimum of strategic understanding of each core functional areas in order to develop integrated decision making capability. required to have at least CGPA of 2.5 out of 4 or 2.8 out of 5 in BBA(Hons)/BBA(IT)Hons/2 years MBA/MBA(IT) or 16 Years of Business Education. The merit for admission in Ph.D Program is determine as per University policy. Institute of Management Sciences is one of the most progressive and prestigious business schools of the country. This is known for quality education, research oriented environment and good quality publications in local and international journals. The Institute has pioneered Ph.D. Program and produced some Ph.Ds in Business Administration. The institute is rich in tradition and strong in faculty. 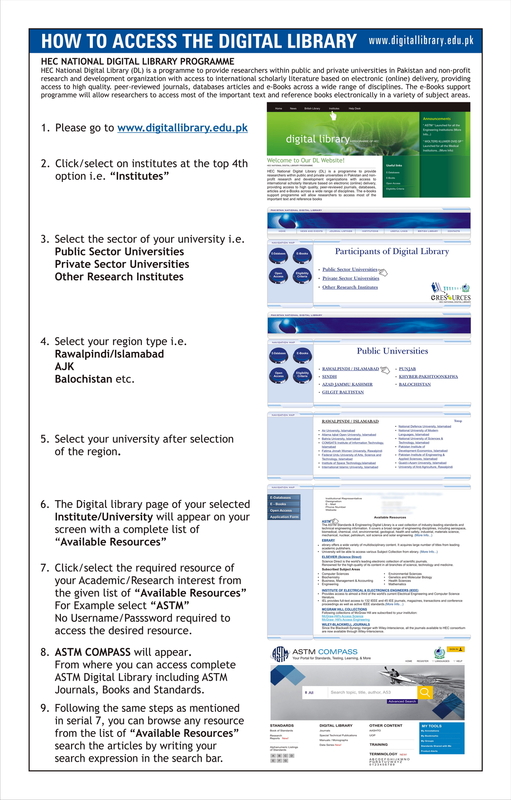 The admissions to Ph.D. program will be offered as per criteria laid down by the University keeping in view the recommendations of Higher Education Commission of Pakistan. For admission to Ph.D Business Administration, the candidate is required to have the degree of MBA 3.5 years / MBA 1.5 Years / MS Business Administration or 18 years of Business Education as per HEC guidelines. MBA 2.5 Years program provides an opportunity to the professionals having 16 years of non-business education to improve their qualification by earning degree of Master in Business Administration. The business education will not only make them able to provide solutions of various business problems but also give them an opportunity to find suitable jobs in national and international market. The MBA program consists of 5 semesters. Total credit hours range from 66 to 72. In first two semesters 10 courses offered in order to make them able to have basic understanding of business terms. The courses offered in remaining 3 semesters are similar as designed for MBA 1.5 year program. (Total courses 22 x 3 credit hour each = 66 credit hours) For admission to MBA 2.5 years program, the candidate is required to have 16 years of Non Business Education like 2 years M.A/M.Sc/4 years BS as per HEC guidelines. + 40% of Marks obtained in 2 years M.A/M.Sc/4 years BS Program or Equivalent examinations including 20 marks for Hifz-e-Quran.